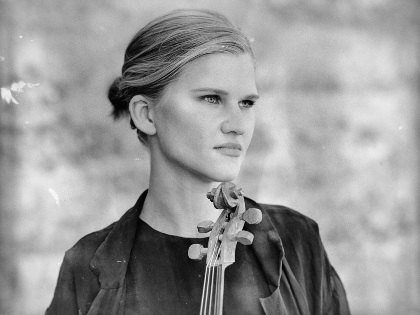 Violinist Maarja Nuut didn’t have to travel far to find rich source material for her music. 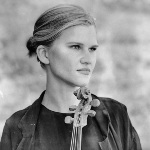 Nuut tapped the music of her native Estonia, as well as what she describes as the “village traditions of pre-war Europe”, as a basis for her lively, hypnotic compositions. Nuut’s songs are often built like canons. 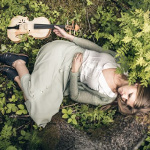 She uses pedals to sample and loop vocal phrases, violin riffs, drones and other textures. Once those are set in motion, Nuut may season the mix with spiky pizzicato or mouth percussion. 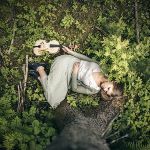 In the midst of all that, she sings, declaiming with the force of a full chorus. Nuut released the album Soolo in 2013, and followed that with 2016’s Une Meeles (In the Hold of a Dream). Despite not having the backing of a record label, Nuut has received wide acclaim from outlets such as Pitchfork and The Guardian. Duran Duran frontman Simon le Bon offered perhaps the highest praise of Nuut’s work, tweeting that her music is ‘what it sounds like when the snow sings’.